I’ve been in a solo practice for twenty-three years. It is one part-time secretary and myself. 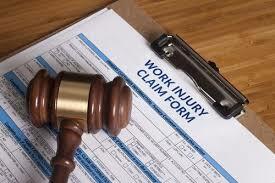 have a high-volume, plaintiff’s workers’ compensation practice. Thus, efficiency is extremely important. DocuSign has revolutionized my client intake. Years ago, a client would call, you would meet, and they would sign a fee agreement in the first visit. Alternatively, you would mail intake documents and about half of those clients would return the signed documents. With DocuSign I can electronically transmit my intake documents within two minutes of our first telephone conversation. Clients then electronically sign anywhere and from any device. You can use it for anything that requires a signature. There is no overnighting, faxing or waiting. The cost is $25/month with a one-month free trial. Trust me, it is worth every penny (and your clients will thank you). I also do a lot of appellate work. For the cost, you cannot beat OSBA’s Casemaker. Comparable to LEXIS and Westlaw, Casemaker is essentially a fifty-state law library sitting right on your desk. It includes not only reported and unreported opinions, but also Ohio Jury Instructions and Ohio Attorney General Opinions. Included with your $305 annual OSBA membership it is worth the cost for this benefit alone. Finally, I use the built in Windows Snipping Tool almost every single day. The Snipping Tool allows you to cut or print any portion of your screen. We have all seen briefs or memorandum that use an indented, single space paragraph of quoted text. I find it far more effective to simply “snip” a picture from an exhibit or document and paste it into the body of my memorandum. This is particularly effective with hand-written documents. Best of all, it is free and included within every version of Windows. Do you have any resources that you find indispensable? If so, I would love your feedback. The days of paper checks are almost gone. For some time, BWC has automatically enrolled injured workers with recurring disability payments into an EBT debit card program. As of September 4, 2018, BWC will now send the first three 14-day (bi-weekly) payments via mail. This will enable benefits recipients more time to sign up for electronic direct deposit to their own bank or credit union. If you sign up for electronic deposit by providing BWC with your banking information, they will not enroll you in the EBT program. Benefit recipients can sign up for electronic deposit by visiting www.bwc.ohio.gov. They can also call 1-800-644-6292, and press 0 to speak with a BWC representative. Nobody Ever Gets Rich on Workers Compensation. Workers Compensation programs began a hundred years ago under a simple premise: injured workers give up the right to file a lawsuit against employers. In exchange, they receive the certainty of a pre-set schedule of compensation following workplace injury. Today, this safety net has giant holes. Could you afford an unexpected and indefinite 13% cut in pay? Would this create a hardship? The likely answer is yes. But this is exactly what Ohio expects of injured workers. Compensation payments are paid at a rate of 67% of an injured worker’s average wage. Payments are not subject to tax. If net-take home pay is usually 80% of gross then, after tax, we are subjecting disabled workers to a 13% pay cut. For short disabilities, a seven day waiting period is in place before disability comp begins. If an injured worker misses more than fourteen days, then disability comp pays back to day one. An injured worker who misses only thirteen days of work receives six days of disability (at 67%) for a 69% income reduction. Sure, the injured worker can use vacation or sick pay. Is it fair to expect this? Especially where injury occurred due to employer negligence? Also, does this policy encourage employees to stay off work longer than necessary to cross that fourteen day threshold? In 2017, the maximum weekly benefit is $902 per week. You would have to demonstrate earnings of $47,355 to receive that amount. If you were a disabled RN earning $90,000 per year then you would receive that same $902 per week – or 53% of pre-injury earnings. Is it fair to give a negligent employer a 47% off coupon? Victims of career ending injuries suffer the worst under Ohio’s system of workers compensation. A well-paid construction worker with a severe back injury could receive disability until the injury reached “maximum medical improvement.” If that worker could perform ANY other type of work (i.e., parking-lot attendant, movie theater ticket taker, etc.) they would be considered PARTIALLY disabled and receive a modest (usually <$20,000) lump-sum award. He or she may also be eligible to receive wage-loss compensation equal to 2/3 of lost earnings for no more than 200 weeks. What happens after 200 weeks? Nothing. The well-paid construction worker might see his or her income drop from $60k to 30k (or less) per year with no form of compensation to make up for this loss. Think it doesn’t happen? Guess again. Why 200 weeks? Because that is the amount set by the Ohio legislature. Most people don’t realize how close they are to the edge of financial collapse. What began as a means of avoiding the courtroom has morphed into a system that insulates employers from liability but financially ruins the disabled employee. The cost of workers compensation programs has dropped dramatically in Ohio. Shouldn’t the pendulum begin to shift back to this program’s original purpose? For more information, read The Uncompensated Worker: The Financial Impact of Workers’ Comp on Injured Workers & Their Families. The Ohio Supreme Court’s gift to injured workers is a lump of coal. Judicial Activism is when a court makes, rather than interprets, the law. Conservatives ALWAYS claim to be against judicial activism. Yet, a recent decision issued by the Ohio Supreme Court is an indisputable example of it. Worse yet, the winners (big business) and losers (injured workers) are clear cut. In State ex rel. Presbyterian Retirement Services, Inc. v. I.C. the injured worker was deemed permanently and totally disabled. She later applied for permanent-partial disability benefits based upon a medical condition that had been added to her claim after her award of PTD. Because no written law or rule prohibited this type of application, the Industrial Commission granted her request and awarded a modest sum of permanent partial disability. The Industrial Commission and Tenth District Court of Appeals denied the employer’s appeal of this award. Yet, the Ohio Supreme Court was able to do what neither the Commission nor Court of Appeals could: manufacture a reason to grant the employer’s appeal and deny the award. It is hard to see this as anything other than a huge act of generosity to big business. An award of permanent partial disability is rarely more than a few thousand dollars, and even the maximum benefit under PTD (which workers rarely receive) is hardly a windfall. No one ever got rich on workers’ compensation disability – but many, many got poorer. Sadly, this trend is likely to continue until the makeup of the Ohio Supreme Court changes drastically. Medical marijuana is coming to Ohio. What impact will this have on compensation for work-related injuries? Will workers compensation cover an injury sustained while taking medicinal marijuana? If you are injured on-the-job, will BWC pay for medicinal weed? 1. Will workers comp cover an injury sustained while high? No. Ohio law creates a rebuttable presumption that any injury sustained while under the influence of pot – medical or otherwise -- was caused by the worker’s own intoxication and therefore not covered. A rebuttable presumption means that the burden of proof shifts to the worker to dis-prove this presumption – an uphill battle. It is safe to assume that most injury claims sustained while under the influence of marijuana will be denied. This is true regardless of whether the marijuana is recommended by a physician. 2. Will BWC cover marijuana for my work-related injury? Probably not. In order to get a marijuana prescription, you need a qualifying medical condition. Some conditions – like chronic pain, PTSD, spinal cord injury, and traumatic brain injury – can be work-related. Nevertheless, existing rules provide that drugs covered by BWC are limited to those approved by the FDA and marijuana remains illegal under federal law. Also, BWC-funded prescriptions must be given by a registered pharmacist and medical marijuana will only be dispensed from retail dispensaries. 3. You can still get fired for the use and possession of medical marijuana. Under Ohio’s new law, an employer retains the right to fire an employee because if his use, possession or distribution of medical marijuana. This bears repeating: an employer can fire you for using medicinal marijuana. Because the ADA (Americans with Disabilities Act) does not protect individuals currently using illegal drugs, an employee can be fired for using medicinal marijuana. It goes without saying that using dope while working is a no-no. But these rules ignore one fact: a marijuana user will test positive for days or even weeks after use. Unlike alcohol, valid detection for cannabis cannot determine an approximate degree of impairment. These rules ignore this reality and treat our system of compensating injured workers as a branch of the penal code. Not so long ago, to look at your claim file you had to make a written request, wait a few days, and show up in person to your local BWC service office. We’ve come a long way. This blog post will identify a few online resources available to the injured worker and discuss some ways you can use them. The most obvious resource is Ohio BWC’s website, www.bwc.ohio.gov Once you’ve set up your account (and you should), you’ll have complete access to your entire claim file…and then some. Last week, BWC shut down the website for a few days for some new upgrades. The newest page is under a tab called “My Claim.” Here you can identify your allowed conditions, the last compensation paid, the last medical bills paid, and obtain the contact information for your BWC claims representative. It also includes links to enable you to print a new ID card, view BWC correspondence, view the claim notes, and view your entire claim file. It is an ideal starting place for information. This page is often the first (and fastest) place to locate the results of your hearing. I have found that the “Help For Ohio Injured Workers” forum of Workers Compensation Insurance.com is a great place to talk to others going through the same process. I can’t always attest to the validity of the information provided, but it can certainly give you some ideas. If you can’t answer your questions using these resources, then it may be time to give an experienced attorney a call. Feel free to contact me online or to give my office a call. It is a bad time to be injured at work. A lawyer's group that I subscribe to recently included the following post that I am sure resonates with many who fight on behalf of injured workers. It is entitled "I Had a Bad Day:"
I had a bad day. Long boring story. But made me stop and think. I suspect all of us do this sometimes especially on bad days. It has never been worse for WC claimants and their lawyers. True? Might there be a handful of hearing officers and BWC doctors who try to be fair and objective? Yes. I think so. We all probably know a few. And yes, there are also a handful of defense firms who we respect because they want objective opinions and fairness. For example, a defense attorney called me recently and alerted me to a situation that enabled me to avoid a premature termination of TT and a possible claim of fraud. Very nice of him to do that. I hope I can return the favor someday. How often does that happen? Unfortunately, we can agree that these doctors and defense firms are the exception. For those of us that have been practicing a long time, we recall better times. The C-92 percentages are unfair (they used to be predictable and reasonable). The BWC physician reviews are biased (fair reviewers get axed). Most DHOs and SHOs are predisposed to look for what’s wrong with a claim. Few truly objective hearing officers remain. But for the few good ones, the hearing officers seem clueless to their biases and flaws. Is there not an arrogance and obliviousness there? The light duty job offer trap and voluntary abandonment trap are used every day on unrepresented injured workers to defeat TT. Do others see this your practices? Employers coldly lie to injured workers about these things and get away with it nearly every time. Right? The hearing officers seemingly do not believe these things occur. They accept the employer’s version of facts and overlook the deception practiced on their unsuspecting employees. It’s like the injured worker should have known better. When the voc rehab folks close a file, the injured worker is often blamed in a culpable way that can later defeat a PTD application. What in the system compels them to do that? This is devastating in many claims. Does this just happen to my clients? The substantial aggravation requirements are impossible to satisfy in most cases because the requirements are strictly applied (unless the issue is intervening injury – seems like SAPE is easy for employers to use). IME doctors find that everyone over forty years old has a pre-existing condition in whatever joint of the body is involved with the injury. This situation forces us to advance up to a $1,000 for causal relationship reports. Either that or we just give up. Am I missing something here or doing something wrong in this area? There are many more examples of unfairness in the system that any of us could list (unless it’s just my practice that is experiencing these bad things). Every now and then something positive happens. I handled suicide death claim recently. The facts were compelling. The reviewing psychologist issued a report strongly supportive of the allowance of the death claim. The BWC went back to him TWICE for supplemental reports. He refused to change his opinion. Good for him. The claim was allowed. I have great respect for this psychologist. I doubt that the BWC will use him again anytime soon. Who can recall a time when it’s been worse? I cannot. To be fair, there are abuses on our side. Most claimants’ lawyers are good people. There are a few that are sleazy. We know who they are for the most part. And shame on them because they make an already bad situation worse for the rest of us. Thanks to those who took the time to read this. We are all familiar with the old proverb that “a man who is his own lawyer has a fool for a client.” A recent case out of Greene County, Ohio demonstrates how true this is with workers’ compensation claims. In Amara v. ATK Space Systems the injured worker had a back injury in 2005. His BWC claim was allowed. In 2010 he sought to additionally recognize his claim for the additional condition of “disc herniation L4-5.” When this request was denied, he filed an appeal to the Greene County Court of Common Pleas. He did this all without a lawyer. His case lingered on until 2013 when he failed to appear for court-ordered mediation or to respond to the Court’s request for an explanation as to why his case should not be dismissed. This was all repeated in 2014. In 2015 he sought to transfer venue to a Michigan U.S. District Court arguing that extensive pre-trial publicity would make it impossible to seat an impartial jury. Again, the Court dismissed his case. The injured worker appealed. Ohio Revised Code § 4123.512 establishes jurisdiction of the injured workers’ claim in Ohio common pleas court. It is not possible to remove a case to another state. Moreover, since the injured worker’s case was dismissed “without prejudice,” he still retains the ability to refile in Greene County and ultimately have a jury decide its’ outcome…so long as he follows the right procedure. This case has languished in and out of court for five years. Had the injured worker retained counsel, it is likely that this could have been resolved years ago. Workers’ compensation claims are complicated legal matters. Both the BWC and the employer have lawyers, and so should you.